Owners of the 2013 T-Mobile Nexus 7 LTE tablet will be pleased to know that T-Mobile has released the Android 5.1.1 Lollipop update for the device. The Android 5.1.1 Lollipop update is a minor one it comes with some bug fixes and also some security enhancements. 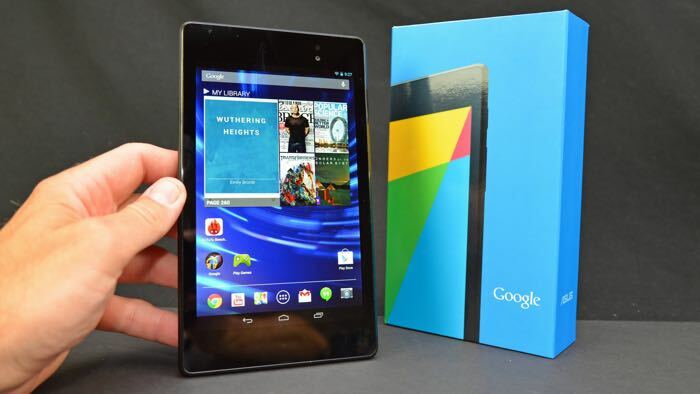 The update comes with the build number LMY47V and it should be available for your 2013 Nexus 7 LTE tablet as of now. The latest Lollipop update is around 18MB in size, you can check to see if it is available for your tablet from the settings menu. You can find out more information about the Android 5.1.1 Lollipop update for the 2013 T-Mobile Nexus 7 LTE tablet over at T-Mobile at the link below, if you receive the update on your device, leave a comment and let us know.